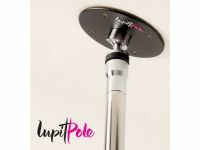 LUPIT POLE Vaulted Mount is required when the ceiling is not parallel to the floor and can be used for any inclination. It must be permanently fixed to the ceiling to provide maximum safety and stability of the pole. Since it absorbs the flexibility of the pole during exercise, the pole will maintain excellent spin performance. • Mark the holes to be drilled on the ceiling. Make sure there is no installations (electricity, water lines, gas lines) or other dangerous obstacles. 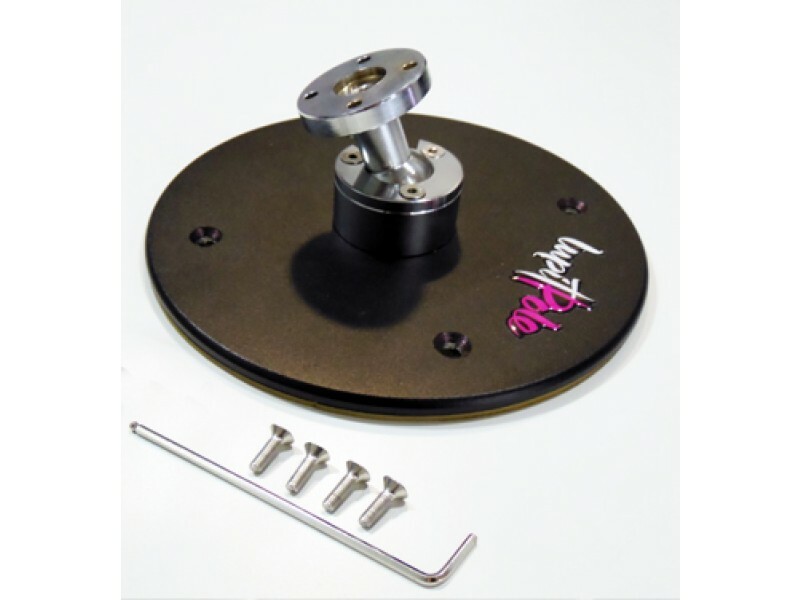 We recommend LUPIT POLE SLOPE CEILING MOUNT to be installed only on the concrete ceiling or a structural beam. If the ceiling is made of any other material, construction should be checked by an expert and reinforced if needed. All four holes must be used for fixing the LUPIT POLE SLOPE Vaulted Mount. • To calculate the pole assembly, measure vertical distance from the middle point of the LUPIT POLE Vaulted Mount to the floor. Reduce the distance measured by 50-60mm, and use that reduced measure in the LUPIT POLE height calculator for proper installation. • Use the LUPT POLE CLASSIC/DIAMOND Instructions for use or Installation video for installation. • Be extra careful when tightening the pole. Make sure the pole is not over-tightened, which may cause damages to the ceiling or loosen the LUPIT POLE Vaulted Mount. • Before every pole exercise, test the stability of the pole.